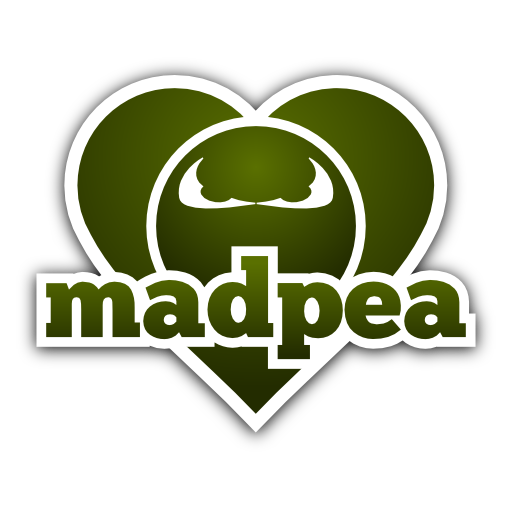 MadPea has been known to drive people mad and insane, and although you don't get to see much of our caring nature, we do care! We appreciate each one of you Peas reading this. Our Kiana met a couple recently, and was inspired with their story. Today they are a real life couple and guess where they spent their first date!? Here is their story and how one of MadPea's hunts played a major part in bringing them together! 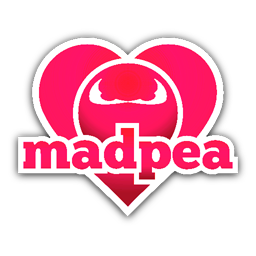 Did you spend your first date together by doing a MadPea hunt? Mayhem Darkward (echo.sparrowhawk): Yes it was. How did you both meet in Second Life? Ryker Darkward: It was actually a coincidence. I had just taken a job at a new club and echo had taken the shift I was starting on as a cover for a friend of hers. So actually, she normally wouldn't have been there, and to be honest until we did the MadPea hunt together. How did you end up speaking to each other? Mayhem Darkward (echo.sparrowhawk): He was being cocky in local and I am a DJ. He was basically host for the set. I didn't care for him being cocky so I got in his box. Honestly, I did not care much for him at all at that moment. He kept talking and came to another set I was in. So who, popped the question, to go to a MadPea hunt? Mayhem Darkward (echo.sparrowhawk): That was all me. I am a MadPea fanatic and love the hunts. So I figured fine, you want to follow me around, its going to be something I like doing. So I asked him to go with me and he was like...OK. I figured he did not know what he was getting into and it would be funny. I am guessing he liked, not only you, but the MadPea hunt? Mayhem Darkward (echo.sparrowhawk): Well he had never done a hunt before at all in Second Life. He really did love the hunt. It kept us talking. We had to talk to get through the hunt and it forced us to work together so to speak, to complete the hunt. Was it an investigative, type hunt? Mayhem Darkward (echo.sparrowhawk): Took us several hours in fact! Yes, it was a lot of detail in it, where you had to search and find clues and every character had a story to them. So, is there anything in particular, you'd like to say to Kiana, the MadPea Crew, as well as the Second Life community. Mayhem Darkward (echo.sparrowhawk): To Kiana and the MadPea Crew, thank you. Ryker Darkward: Yes, thank you. More than I could ever repay Kiana. Mayhem Darkward (echo.sparrowhawk): To the sl community, if you have the chance do the hunts they are amazing. Take your friends and family. You may find something you were not expecting along the way. Madpea and Kiana, as I am not a very talkative person I am very introverted and honestly if the hunt was easy or boring, I do not think we would have clicked and spent the time together to get to know each other and be where we are today. It really does challenge you. If you have someone with you, its a great bonding experience as well. Makes for some amazing pictures. I remember a specific one, it was a table all covered in a cloth with spiderwebs and the poses, had your face down on the table. Ryker Darkward: It is the one that was her favorite. Ryker Darkward: The Peatonville Asylum. Mayhem Darkward (echo.sparrowhawk): It was at the asylum, the first one we did together. That is actually the first date photo. We have done every hunt from that point on that they have done. They are sentimental for us and we love them! It is a really great community to be involved in. Everyone is always so helpful during the hunts. Ryker Darkward: Doing that hunt helped us grow closer than we ever possibly could have on our own. Mayhem Darkward (echo.sparrowhawk): The Inca Warrior was worse! Yeah...I do not mind saying, "I pulled out some hair and cussed a couple of times on that one, but in the end the prizes are amazing and you are waiting for the next one." Thank you for sharing your story, Ryker & echo, from all of us at MadPea! We want to hear and share, "A Peas of you!"